As the last leaves fall, Colorado homeowners are spending time winterizing their yards and homes for the colder months ahead. Rather than taping plastic over old windows again this season, consider investing in new windows for the most effective way to keep out cold drafts this winter. The staff at Colorado Glass Solutions has the expertise on which new windows are best suited for our local climate and will offer the most energy savings. Operation: Casement and double-hung windows are the most popular but there are also single-hung, awning-style, hopper-style and fixed types to consider. Casement windows, which open like a door, allow for an unobstructed view, good ventilation and are usually more airtight than other types. On double-hung windows, the lower and upper panels both slide for great circulation and easy cleaning. Cladding: Wood-framed windows are protected by either aluminum, vinyl or fiberglass cladding. This type of exterior material is more durable and will hold up against the elements to extend the life of the window. Non-wood cladding is also more convenient because it does not require painting, staining or sealing. Glazing: Double-glazed windows trap air or another type of gas between two sheets of glass to provide better insulation. A third pane of glass is added for triple-glazed options, which provides the most energy efficiency and noise reduction- the best choice for extremely cold climates or close proximity to high-traffic roads or airports. Low-E Coating: This transparent treatment lets light in while reflecting heat to improve energy savings. In hot climates, the coating is applied to the exterior glass in order to reduce heat entering the home. In cold climates, the coating is applied to the interior panes to keep heat inside. Tilt-In Sashes: This feature is worth the extra cost for its cleaning convenience to keep your new windows looking their best. Available on single and double-hung models, the sash tilts in for easy access to the exterior pane. 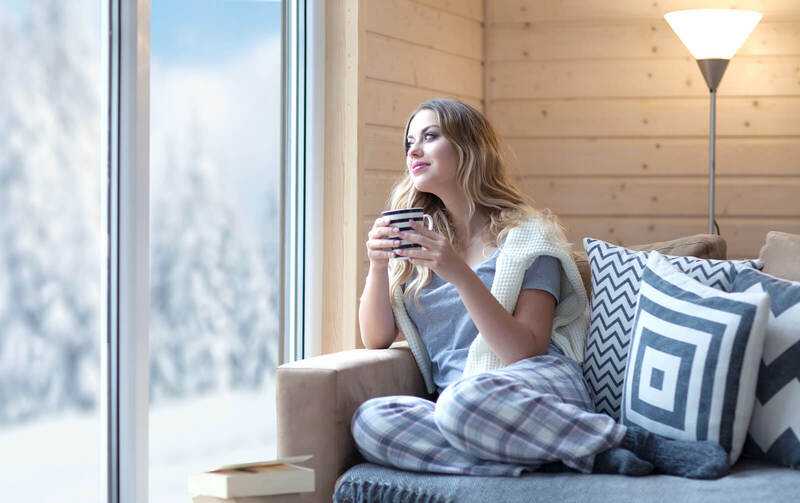 If you’ve decided this is the time to install new windows in your home, come to Colorado Glass Solutions in Longmont for a wide selection of affordable, high-quality choices that will keep your family warm and cozy this winter!